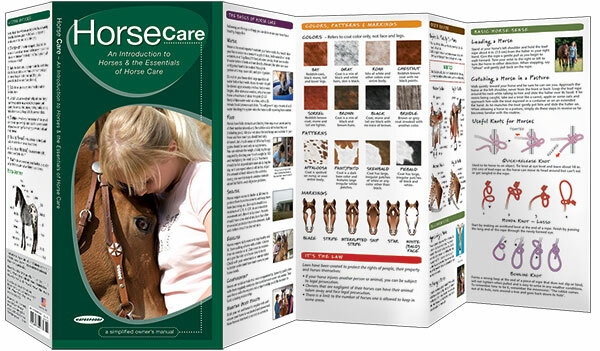 This lightweight pocket guide is the ideal introduction for novices to horses and horse care. 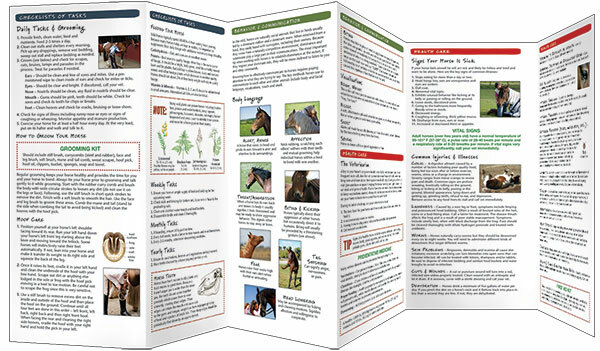 It includes information on their daily physical needs (water, food, shelter, exercise and companionship) and also delves into communicating with and approaching horses, their body language, tack, common knots and health care concerns. Most importantly, it provides daily, weekly and monthly checklists on how to care for a horse and even includes tips on how to select the horse that is best for you. It is an indispensable portable reference for novices horse riders of all ages. Made in the USA.